Companies more than ever are adopting “lean” mindsets with the goal of lowering operational and labor costs while maximizing expertise. The outsourcing model allows companies to hire talent for only the hours needed to fill a particular role or achieve a goal. This helps companies fill roles or needs that they would not otherwise be able to fill in-house. It also allows companies to maximize talent where they wouldn’t otherwise have been able to hire a comparably-experienced professional full time. Which Roles Should You Outsource for Your Company? As with most strategic business questions, the answer to this question depends on your stage of growth, the talent currently within your team, the number of employees you have, and your revenue range. A general rule of thumb is to balance cost and opportunity. Do you have a need for someone full-time or are your needs on a project- or part-time basis? Which option will allow you to maximize experience and expertise? Will you be able to afford a full-time, highly experienced employee, or can you outsource someone of similar or greater expertise for less cost? Below are some of the most commonly outsourced services for companies. Digital marketing is a common service to outsource for your company. Simple integrations with your CRM or sales processes can make it seamless for an outsourced digital marketing agency or freelancer to streamline leads to your sales staff. It takes a high volume of need to bring a full digital marketing team in-house, which often makes hiring an external digital marketing expert or agency much more cost-effective for a company while maximizing output and expertise. When to bring in-house: When you can afford a comparably-experienced digital marketing team with similar output at less than or equal cost to your outsourced option. Even then, many companies continue to outsource in this area, using multiple agencies to generate additional creative ideas and selecting the ones they feel are most effective. Bookkeeping is an extremely common service to outsource, especially for small businesses. Bookkeeping includes relatively simple tasks that are easy to outsource to an expert for less than the cost of an in-house bookkeeper. Outsourcing bookkeeping saves you the cost of a full-time accounting hire. It can also serve to support your finance team by allowing them to focus on more important tasks such as reporting and providing timely financial insights. When to bring in-house: Startups should outsource this role initially (or leverage a part-time resource) while the activity levels are low. This role should be outsourced until the volume of activity (invoices, payments, purchase orders, employees involved in a payroll run, number of states in which you report and pay sales tax, etc.) requires more than 40 hours a week. At that point, it is less costly to hire an in-house resource. Outsourcing can still be used to supplement the in-house resource as the business grows (until you need a second internal hire to handle the load). Bookkeeping is relatively inexpensive and should be brought in-house before other financial positions like Controller or CFO. Tax planning and compliance require specialized knowledge and expertise and are best handled by someone who is a certified public accountant (CPA) with a deep understanding of tax rules and strategies. Since taxes for a small business are rarely a full-time need, outsourcing offers a cost savings. Companies that do their taxes in-house also eat up finance department resources during tax preparation time, which results in reduced productivity and time lost that could otherwise be spent keeping other duties up-to-date. When to bring in-house: In almost all small- to mid-sized businesses, an outsourced CPA is sufficient for their needs. Keep in mind that a CPA should be focused primarily on tax strategy, sales tax, and tax services, not on day-to-day bookkeeping or controller services. One mistake many businesses make is to hire a CPA to handle the work of bookkeeper and/or controller. This is a great way for CPA firms of full-time CPAs to stay billable, but is not usually a very good outcome for the small business. A CPA is typically more expensive than a bookkeeper because of the required training and high degree of specialization to master federal, state, and local tax rules. A CPA certification is not required to be a good bookkeeper. And although some CPAs are great controllers, they don’t tend to be worth the premium billing rates that their tax expertise requires. Until you need 40-hours-a-week tax services, keep your CPA outsourced (and focused only on tax-related services). Small- to mid-size companies can reap major rewards from intelligently outsourcing CFO services. 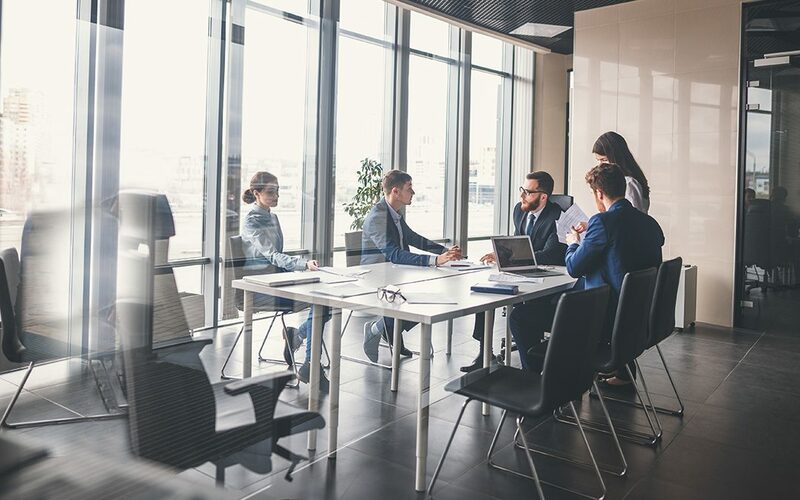 Outsourced CFOs are external CFOs who provide high-level financial strategy and advice to company management at a lower cost than a comparable full-time hire. An outsourced CFO will help generate strategic and actionable plans to sustainably scale processes to handle ongoing growth, improve margins, upgrade systems, anticipate and prepare for future challenges, and develop internal talent. A qualified outsourced CFO also brings experience in areas essential to profitable growth—such as raising capital, launching or expanding products/services, or organizing treasury functions to manage cash in multiple territories/currencies. Most small- to mid-sized companies cannot afford a highly-experienced, full-time, in-house CFO. However, these companies will likely see the largest gains from partnering with a CFO to “cross the chasm” between the company’s current situation and its next stage of growth. An outsourced CFO is a great way to maximize the benefits of a CFO while keeping the associated cost reasonable. For these companies, it is an important strategic move to outsource CFO services. When to bring in-house: When hiring a CFO in-house provides a true return on investment. This will differ depending on the company’s business model, complexity, and average transaction size. But when considering the decision, a company should focus more on quality than quantity. Be conscious about getting the highest level of expertise at a reasonable budget rather than simply looking for the largest number of hours. 10 hours a month with a high-level, expert CFO will be significantly more beneficial than 40 hours from a first-time or under-qualified CFO. Wait to hire a full-time CFO until you can justify the high salary and benefits of a experienced CFO. In the meantime, unlock value for your business by engaging an outsourced CFO company. Human resources, while traditionally an in-house role, is more and more commonly becoming an outsourced role. This is because an outsourced HR company is typically able to manage a range of human resource needs, the most common of which is payroll. Using an outsourced human resources company also helps to minimize risk and is typically more cost-effective than in-house hires. When to bring in-house: It can be highly effective for small- to mid-size businesses to outsource HR functions—especially specialized recruiting and compensation planning. However, once a company reaches 100 employees, federal laws called ERISA come into effect, requiring the company to comply with a number of additional requirements. At this point, companies are typically required to offer employees medical benefits, a retirement plan, and other services that require specialized expertise to implement and manage. In some cases complexity may cause a company to reach this point with fewer than 100 employees. Watch for the tipping point in complexity and cost. Once you have larger, more complex HR needs, you may see that the cost of an outsourced HR company is comparable to the cost of internalizing these functions. Unsure what roles you can or should be outsourcing? Fill out the form below to schedule a free 30-minute financial review with one of our CFOs. We can identify your current challenges and opportunities to help advise you on how to best take your company to the next level. 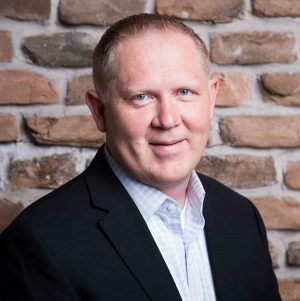 Troy Skabelund has over 20 years experience as a CFO and Systems Expert for organizations of all sizes and industries, including 12 years at the Walt Disney Company. He specializes in analyzing and designing financial systems with experience in both proprietary and 3rd party solutions.